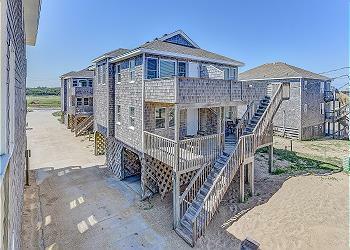 As close to the ocean as you can get! 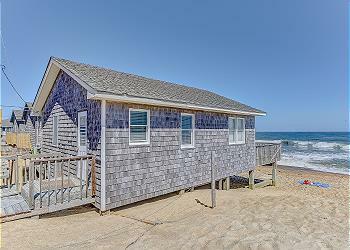 2 Bedroom, 1 bath oceanfront cottage with 1 king bedroom and 1 queen bedroom with single daybed. Full kitchen area with small dining area. Living room opens to oceanfront deck. Fully remodeled spring 2019.